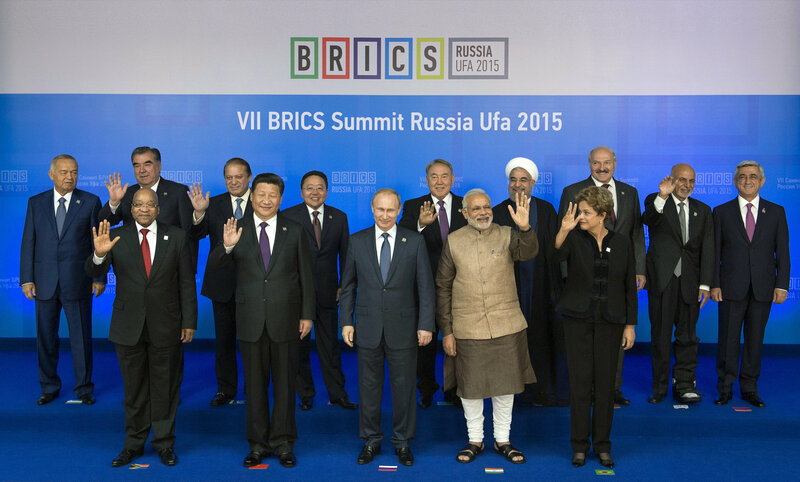 Russian President Vladimir Putin has offered to ease visa regime for some categories of tourists from BRICS countries. "In order to attract foreign tourists, it is probably worth considering to further ease visa regime - for instance, to expand practice of visa-free group exchange. And it can be done for all countries which we call BRICS countries," Putin told the Russian State Council’s presidium session on tourism reminding that such practice is already being used with China. "In general, Russian and global experience shows that liberalization of visa regime almost always leads to growing tourist flows," Putin said. A good example is the situation with Israel. After easing visa regime, the flow of Israeli tourists to Russia has increased by more than 2 times. A similar situation can be seen in case with Turkey (41% growth) and South Korea (40% growth). "Of course, it is important to promote more actively vacation and travel opportunities in Russia, to do it both inside the country and abroad, use media and new informational technologies to consistent promotion of Russian tourism, open new tourist offices abroad and tourism information centers in Russia," the president added noting that people should have access to full information about Russia’s tourism potential. Brazilian citizens can currently stay in Russia for up to 90 days without applying for a visa. Tourists traveling to Russia who are citizens of India, China and South Africa must obtain a visa to enter the country. Around 30,000 Indian tourists visit Russia annually.